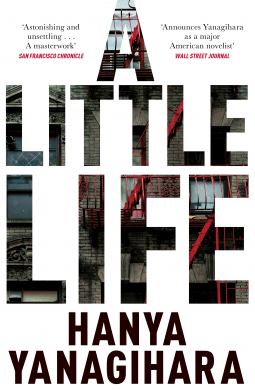 This book by Hanya Yanagihara made me cry and I feel inadequate to describe it. It opens with two friends – Jude and Willem – moving into a tiny apartment in New York. They are at the beginning of their careers and A Little Life is their story and that of their two friends Malcolm and JB. A lawyer, an actor, an artist and an architect. The spine of the book is Jude’s life, his horrific childhood makes him the man he is though his friends know nothing of his early years. Yanagihara stretches out the telling of Jude’s secrets for the whole of the book – and it is a long book – to the point where my imagination went into overdrive. Gradually, we learn what he is hiding. I felt sympathy for Jude, but also irritation, impatience and admiration. This is an epic book full of love, pain, honesty, concealment and brutality. Sometimes the brutality will shock you, it did me, although the worst of it is not expressed on the page – like the most effective of dramatic murders, it happens off stage and is left to the reader’s imagination. There is art and theatre and New York life, but mostly the novel is about the four men, their highs and lows, wins and losses, laughter and squabbles, in at times small daily detail; backed up by a sterling cast of supporters [Harold the law professor; Andy, the doctor; Lucien, the lawyer; Richard, the neighbour and artist]. Not many women, though I did not feel the absence. The story moves forward chronologically, with darts into the past as Jude remembers. It is about abuse, cruelty and pain, so harsh that you wonder how a person could survive. The answer, is love.